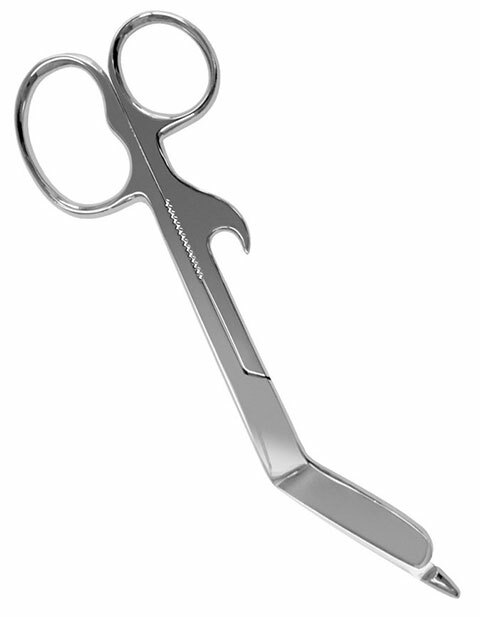 For a more stronger grip Prestige brings this Traditional Lister bandage scissor design that features unique serrations in the handle for perfect gripping and twisting. Hook for opening injection (lidocaine) vials. It is made of stainless steel and is autoclavable (143ºC / 290ºF). It is 7.25 inches in length.